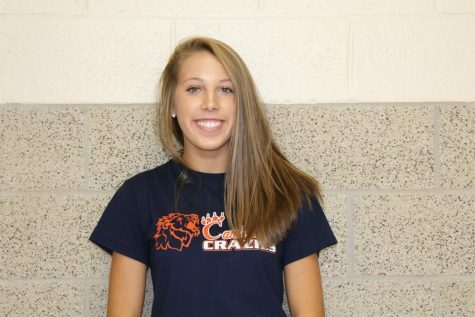 Anna Hartford is a senior at Carterville High School who loves playing volleyball and softball for CHS. She is popularly known as Joseph, with the funny accent. She is obsessed with watching The Flash on Netflix while eating Reese's Peanut Butter Cups, her favorite candy. Her favorite place to eat is Panda Express and she likes her car, who is named Steve. If she is ever angry, it is probably because someone around her cracked their knuckles; that is her biggest pet peeve. You can usually find her out and about in Carterville with her friends!